Joyce left school at 14 and became an apprentice hairdresser. She joined the Red Cross as a nurse in 1939 and was also a firefighter during World War 2. There are also stories of her braving the floods of 1953 in Crayford to help deliver babies. She was a formidable business woman, running her own hairdressing businesses and held the position of President of the Bexley Chamber of Commerce six times. She was also honoured by Princess Anne in 2001, who presented her with a Merit Award on behalf of the Association of Combined Youth Clubs for 53 years of service. 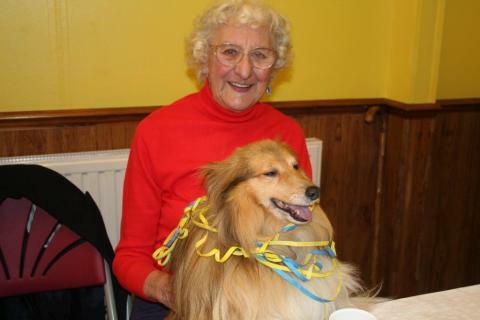 Joyce was an active member of the local Foresters Friendly Society branches in Gravesend, Bexley and Orpington and a keen charity fundraiser throughout her life. 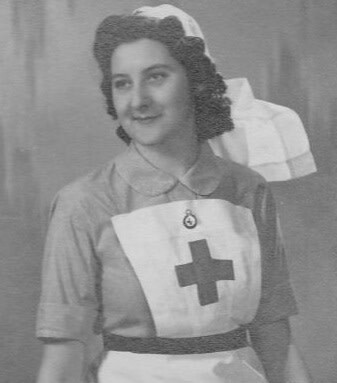 Her experience of being a Red Cross nurse fuelled a long-time appreciation of nursing and she admired the care delivered by ellenor – which supported a number of her friends over the years. In fact, two of her best friends were under ellenor in their final days and Joyce was very impressed by the care they received.